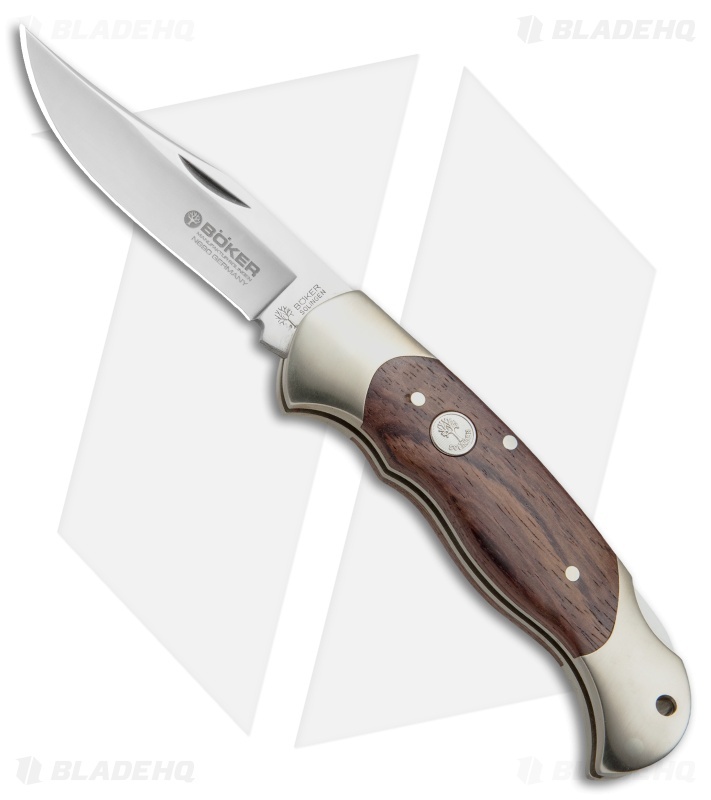 This Classic Boker pocket knife was carefully crafted for comfort and control. 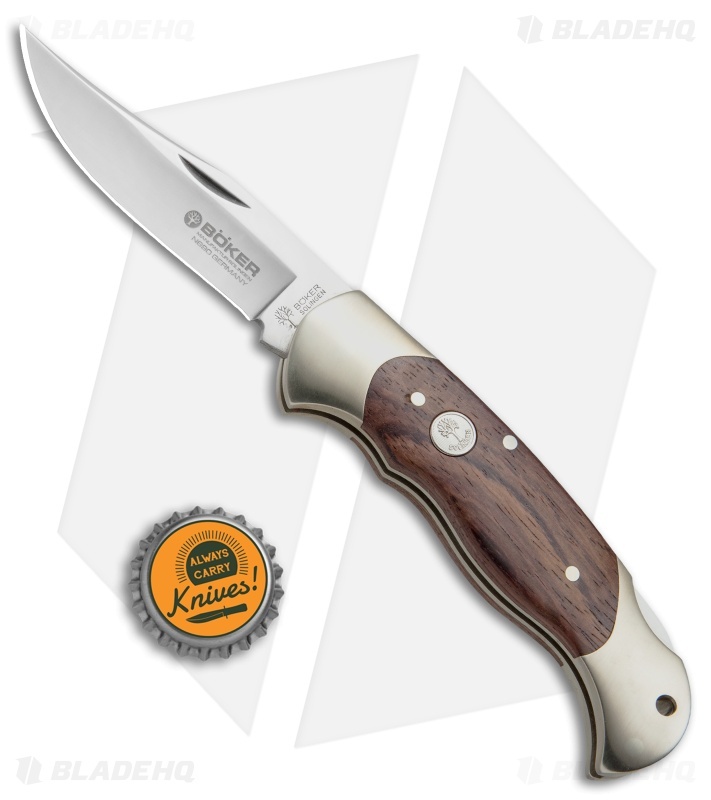 Boker's backlock hunting knives have all the quality features you've come to expect, artfully executed with rugged beauty. Featuring a 3 1/8" stainless steel blade that offers years of dependable service. 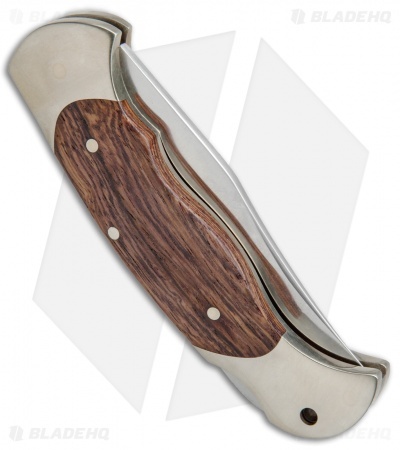 Nickel silver bolsters add a stylish gleam. 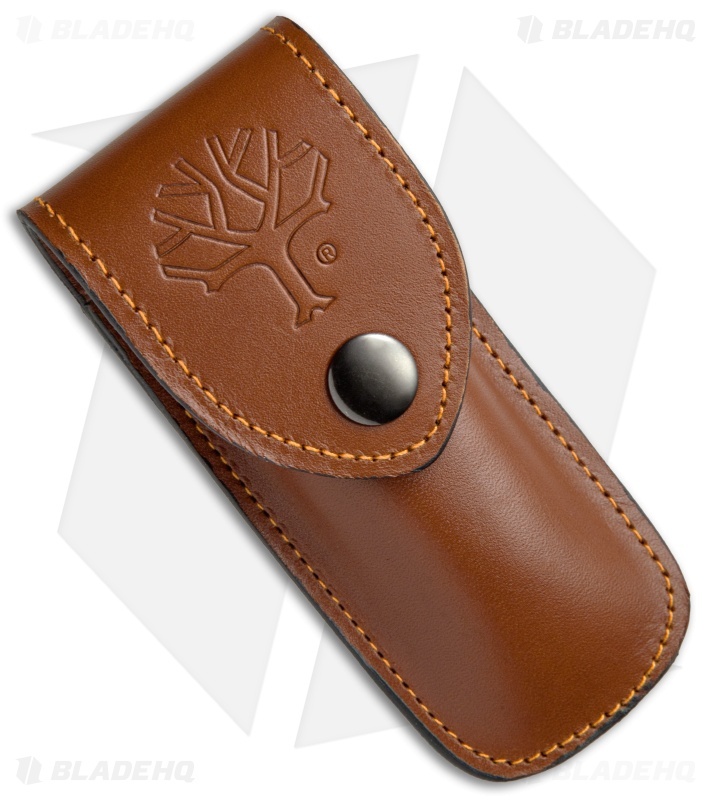 Handles are crafted with finger grooves and palm swell that fit the hand perfectly while providing sure control. 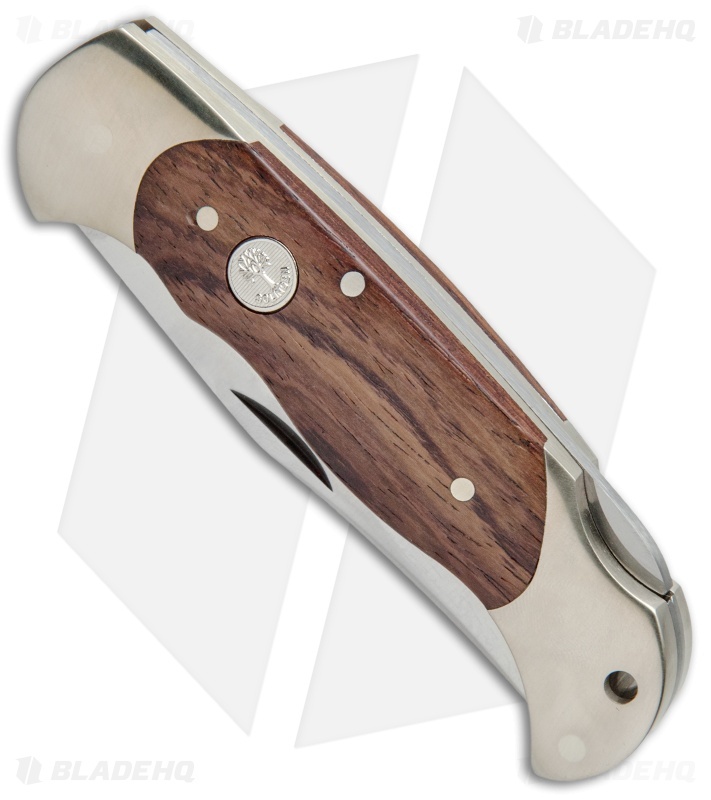 Elegant rosewood handle and 440C stainless steel blade.